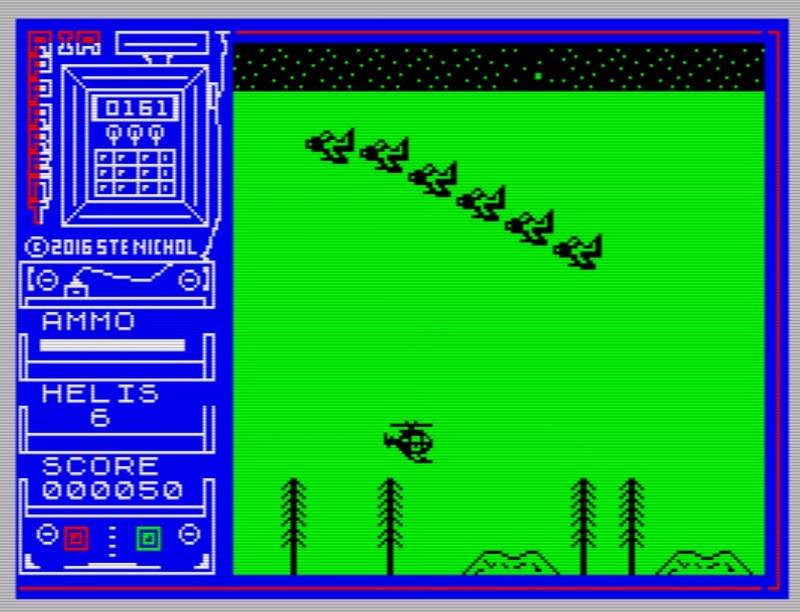 LoadingScreech has been rather busy this year as after working on his side scrolling shoot 'em up ' Air Apparent ' for the ZX Spectrum, it is now available to play as an early developed release. 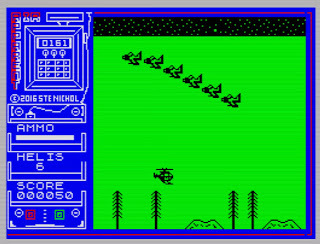 Created using SEUD, with no type scripting, hence limited changes. You are in control of a helicopter and have to destroy many waves of aircraft before fighting the big boss and moving on to the next scene. 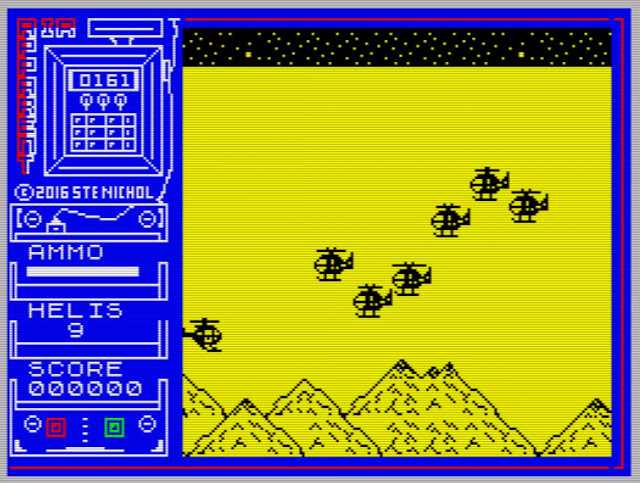 Before you get your hopes up, Air Apparent isn't the greatest shooting game we've played on the ZX Spectrum, although the UI is very nice and landscape detail is decent, the game suffers from similar pattern waves and can be totally avoided just by staying towards the bottom corner. In actual fact you can stay there and avoid everything even the big boss. Thankfully the game is still in a work in progress and the developer is interested in your feedback, so lets just hope the game improves and also includes at least a soundtrack.